Automated SMS Responders and Text messaging is one of the best ways to turn real estate internet leads into hot appointments and convert them into sales. SMS texts convert WAY better than emails… have a much higher open rate and response rate. SMS texts get a 97% open rate compared 20% with email. Watch the short video above to see how having an SMS strategy can help you stand out… and get higher engagement with your prospects to set more hot appointments so you can close more deals! 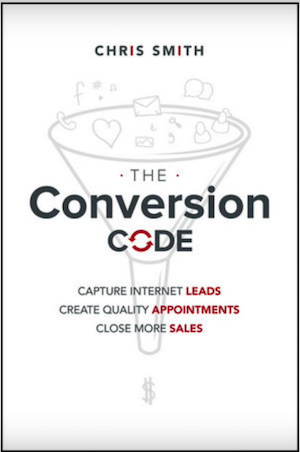 Chris Smith, real estate speaker and author of The Conversion Code says that “Using auto and SMS messages to convert new and hot leads is one of the biggest untapped opportunities in lead conversion today.